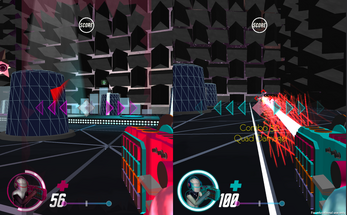 The Drop is an experimental FPS that combines music into the gameplay. 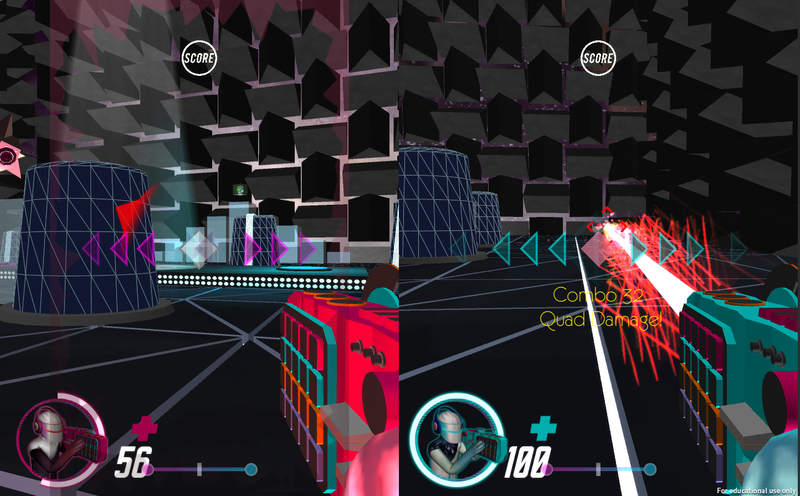 It all started with a crazy idea - what if you have to match the beats to shoot in a FPS? 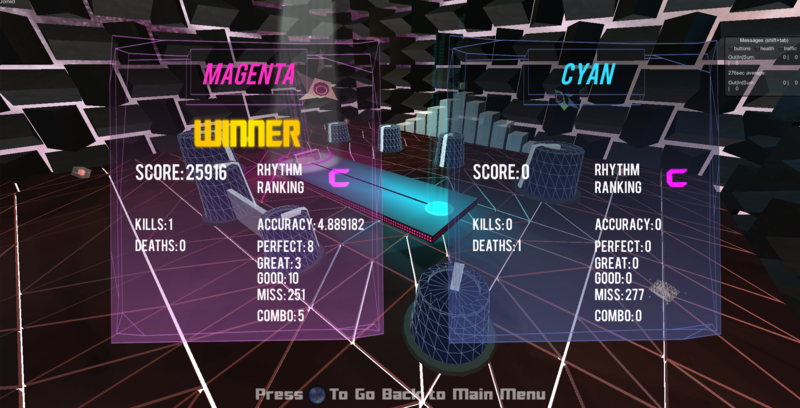 Neutralize the opponent by shooting them with your rhythm skills and dominate the crossfader to earn scores. 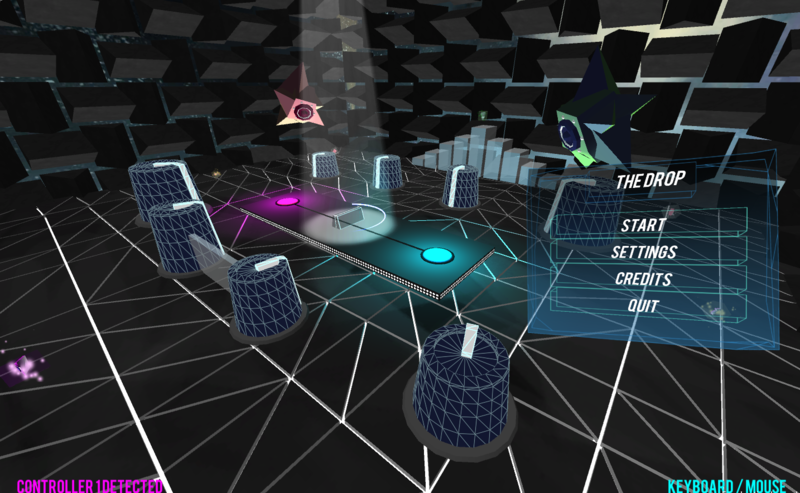 You select a pair of songs each round and the music will be mixed according to the position of the crossfader in real time. The game supports only local 1 vs 1 now and you need at least one controller in addition to the keyboard & mouse to play against each other. This game was developed as a student pitch project of Entertainment Technology Center, Carnegie Mellon University. 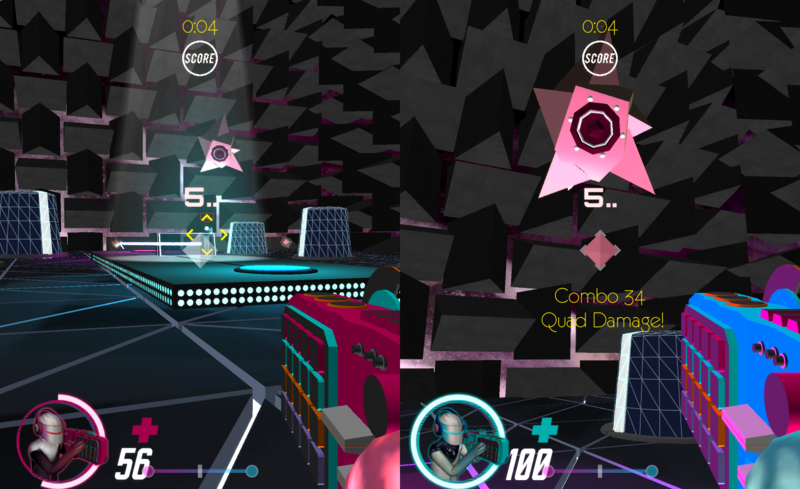 Players are two DJs in a futuristic musical arena. 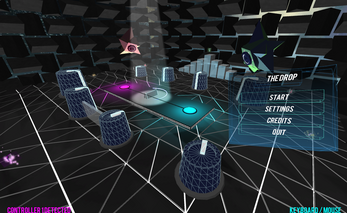 Two songs are assigned to the players each round, and players can score by pushing the crossfader in the center so their music plays louder in the mix. 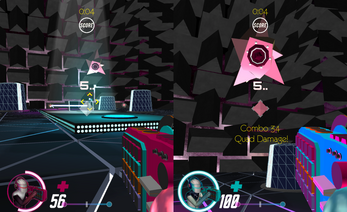 To stop your opponent, you can shoot waveforms by tapping the buttons to the beats shown on the screen. If you keep your beat streak, you get damage multiplier. Crossfader score is doubled during 'the drop', which means the climax of the songs. You can strategically prepare for the drop to turn the game around. The more you know about your music, the better you will be. 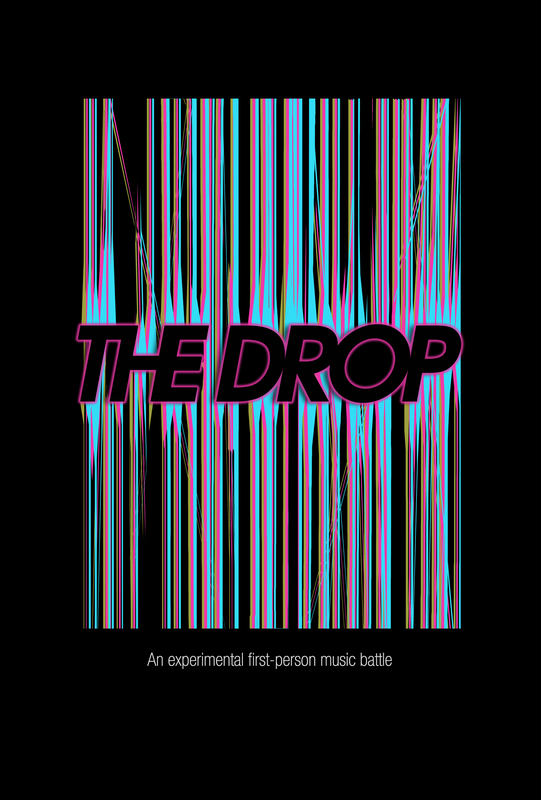 Test your FPS and rhythm skills in The Drop. When only 1 controller is connected, Player 1 uses the controller and Player 2 uses keyboard/mouse. When 2 controllers are connected, both players use each controller. If you mange to make this a single player experience, lemme know. 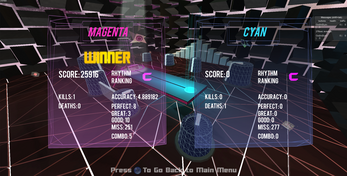 not sure how fun this is as a 1 v 1 only game. Sure thing! Think The Drop as a kind of proof-of-concept. If there's more demand, we might be able to do some more work sometime. Hi peculiarmonkey, thanks for the comment. We don't have any plans for now, but we definitely add single player mode to the game sometime.